What’s Next On Your Lead Generation Campaign? Dragons? For some, Game of Thrones serves as a fantasy author’s take on the world of politics, business, and all the ugly things that underlie them. But for others, it also serves another lesson beyond those: The power of technology. Now as a software company, some of those working in one might not immediately think that their tool is anything like the dragons of Daenerys Targaryen. But in reality, that’s exactly what your technology could be: A dragon burning its way across the real world’s game of thrones. Your lead generation strategy serves but only one crucial role: The herald. No amount of politicking and haggling in all of Westeros can match the advantage of possessing a fully grown dragon. They provide air support, devastating firepower, and are unbelievably hard to kill. Likewise, all the bickering and corporate politicking is going to be for naught when you know your company has (for example) a bigger, better R&D department than other areas in the world. There are also limits to presenting your products as they are. For example, you can’t just give a prospect immediate access to a cloud service. There’s still protocol in place to protect your property. You’ve got to keep people from figuring out your secret (or worse, sabotaging your advantage). How can you balance between presenting hard evidence and making sure that evidence remains beyond compromise? Start with numbers – Numbers and statistics can be made up but it’s still best to use them when trying to open conversations with prospects. If anything, whatever reaction they’ll give is enough to indicate if they fit among your buyer personas. Stay in control of the product – Another risk you shouldn’t overlook is the chance that your product might not always be perfect (even if you claim that it’s still closer to being perfect than what else is out there). 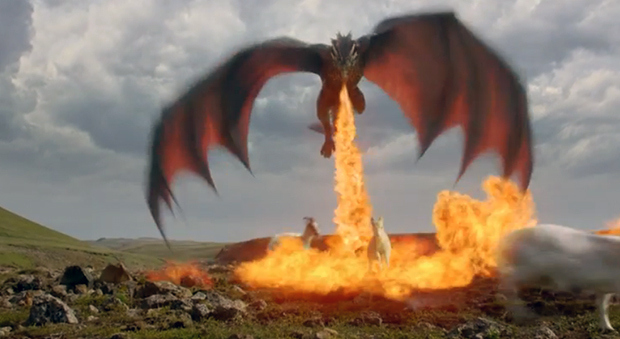 You don’t want your core product ending up as uncontrollable as Drogon. Timing is key to besting popularity – Timing the introduction of your product is key if you intend to bank on disruption. Having the bigger stick in the end is only good if you know the right time to swing it. Don’t present your products if you know the end result is people getting your core advantage for free. Learn how to launch products in a way that has all the pieces on table before it turns it over. There’s more to marketing a core advantage that simply maintaining and creating this advantage for your own company. Your lead generators have to make sure this advantage is both demonstrated without the risk of losing it to a saboteur. Think carefully and don’t just take wing. This article was syndicated from Business 2 Community: What’s Next On Your Lead Generation Campaign? Dragons?